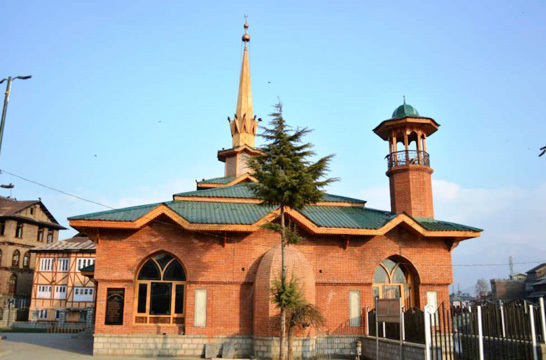 Qalandar-e-Haq Shaikh Baha’u-d Din Ansari was born at Jindh in Haryana, India. Legend states that he was born wearing a loincloth around his waist and that is the reason he is fondly addressed as “Langotbandh Baba”. Not much is known of his youth and education.  But he is said to have possessed an insatiable desire to attain gnosis [ma’rifa] of Allah. He travelled far and wide and eventually reached Baghdad in his quest for Divine Knowledge. He visited the tomb of Muhyiddin ‘Abdul Qadir al-Jilani where veils were lifted and he attained his Goal. He reached a high rank in spirituality and, like his predecessors, exhibited many miraculous exploits [karamat] which continue to this day. There is a story of a disciple getting drowned in the high sea in his boat. He yelled the name of Langotbandh Baba who rescued him from the impending calamity with Allah’s leave. Ardent devotees continue to visit his shrine to seek his intercession [wasila] to Allah, Most High, to fulfil their needs and to remove their distress. One such visitor, Ghulam Muhammad Qadiri of Pune, reports that he had been struck by paralysis of his legs. On visiting the shrine, his legs fully recovered. Records state that he passed away on 12 Dhu-l Hijjah 920 AH / 1515 CE. 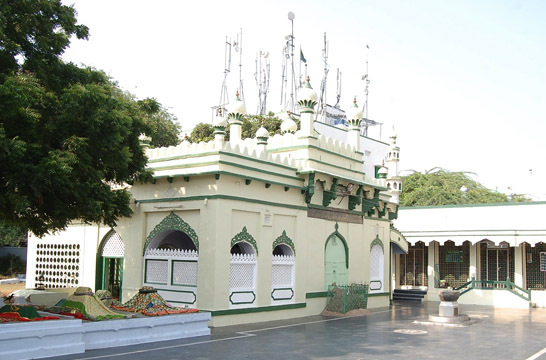 His anniversary [‘Urs] is commemorated in a large scale with fairs and special prayers by the hereditary Mutwali families who look after the Dargah. May Allah be well pleased with Langotbandh Baba, and bless us for his sake. The dargah is over 500 years old. 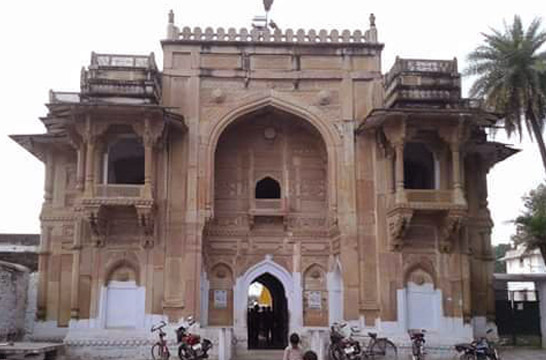 It is situated in a large compound surrounded by ornate walls and a large gate. There is a water pool in front of the shrine for visitors to make ablution. The main tomb contains Langotbandh Baba’s grave. Next to him is the grave of a disciple named Ibrahim Erchi.